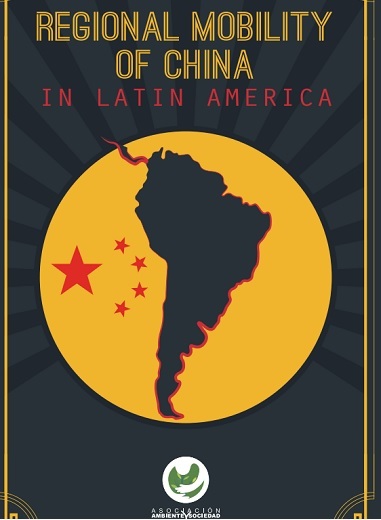 Over the last decade, bilateral agreements between China and distinct Latin American countries were simultaneously signed within a wave of diplomatic recognition at the beginning of “One China.” This slogan symbolized recognition from Latin American governments that a single country exists, called China. This includes Taiwan, which reclaimed diplomatic independence and, since the Beijing government considers it an integral part of its territory, there has been conflict. This is the premise of two editions of China’s Policy Paper on Latin America and the Caribbean, the most recent published in 2016 (China-CELAC Forum, November 25, 2016). In the aforementioned agreements, it was determined that China would be willing to establish and develop intergovernmental relationships with Latin American and Caribbean countries, especially those that had initially accepted “One China.” It was understood that this principal was fundamental to later establish the China- Latin America and Caribbean Comprehensive Cooperation Association. One example of this is the reconfiguration of the Panama – China and Panama – Taiwan relationship over the past year. When it was thought that the Panama-Taiwan relationship was finalized (Vida, June 13, 2017), a Panama-China negotiation, which included twenty agreements, was immediately announced. The negotiation was related to a commercial and tourism exchange, energy and mass transport development projects, in addition to a bilateral free trade agreement. It is expected that some of these treaties will be signed at the end of 2017 during a meeting between the presidents of both countries (EFE, September 16, 2017). The intergovernmental agreements signed between Latin America and Caribbean countries and China are of a different nature (Gómez, November 12, 2015). These treaties stress bilateral agreements that follow a universal format, and contain clauses on arbitration and the possibility of international courts, in the case of a dispute or controversy between countries. However, citizens had little information on the signing and reach of these treaties, and even less on conditions regarding financing from national development banks. This is why Costa Rica’s impenetrable character led to controversy during initial discussions, in 2005, to sign a treaty between the two countries, which granted a 300 million loan to be exchanged for bonded debt. This credit was included in the conditions to reestablish diplomatic relations between both countries (Portafolio, August 29, 2008). The issue brought the Government face to face with some political parties, and a civil society intervention became necessary to obtain information about the lending process and interest rates. Initially, these details were withheld under the argument of “bank confidentiality” ( La República , August 30, 2008). Years later, it was announced that within the development of the agreement between China and Costa Rica, the Costa Rican Government resumed the El Limón highway expansion project (Sancho, July 21, 2014), a decision which has been questioned by multiple parties. Financing for the project was set at $395 million from the Export-Import Bank of China (China Exim Bank), and it was established that the company responsible for the project would be China Harbour Engineering Company (CHEC), one of three companies sanctioned by the World Bank (WB) for poor performance in the Philippines (World Bank, January 14, 2014). Additionally, it was asserted that the cost, $485 million dollars, was much higher than the cost estimated by a 2012 Inter-American Development Bank (IDB) study, which had placed the figure at 280 million (Cabezas, March 10, 2014). Information about treaties between China and Latin America has been widely disseminated through inquiries and political pressure, allowing civil society to understand these types of agreements and how they have been consolidated into projects that have already been linked to human rights violations and negative environmental impacts.